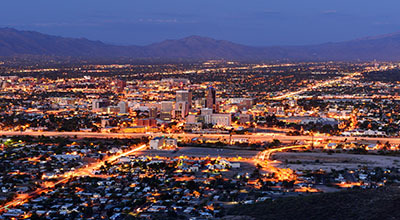 Tucson, Arizona—The parking lot of an auto shop on Tucson’s south side was the site of a fatality when a patron was run over by one of the shop’s pickup trucks at about 11:30 yesterday morning. Tucson Police Department accident investigators identified the victim as Manuel Castro Leon, age 61. Mr. Leon was reportedly waiting in the shop’s parking lot while his car was being repaired. A red pickup driven by one of the shop’s employees ran over Mr. Leon as it exited the parking lot. The driver continued driving until he received a phone call from another shop employee. 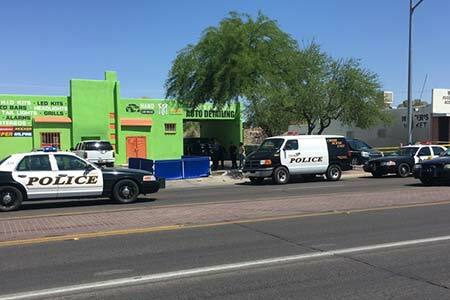 The driver returned to the shop where he was questioned by Tucson police. The investigation is ongoing and no charges have been filed or citations issued as of this point. We extend our sympathies to Mr. Leon’s family and friends.